Malcolm Lockyer was the musical director of the 1972 Eurovision Song Contest, held in Edinburgh, Scotland. However, he did not conduct any competing song, thus being amongst only four MDs in Eurovision history never to have conducted a single entry – along with Jan Stulen (1976), Yitzhak Graziani (1979) and Igor Kuljeric (1990). During his service in World War II, aged nineteen, Malcolm Lockyer joined the Royal Air Force as a pianist. Two years later, he became a member of the Buddy Featherstonhaugh Sextet. 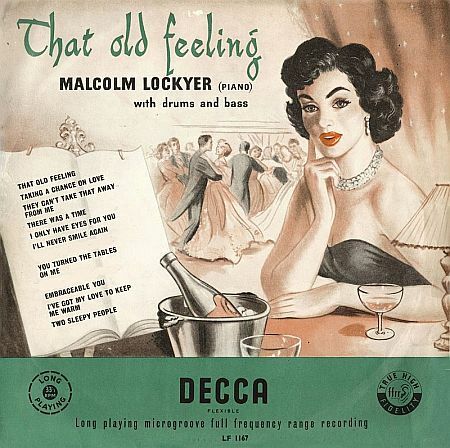 In the 1950s, he earned his money primarily as a performing artist, making many recordings with his Malcolm Lockyer Quartet, amongst others with singer Terry Dene for record label Decca between 1957 and 1959. With his group, he took part in the 1957 BBC Eurovision selection programme, performing instrumental reprises of several songs, amongst which the winning ‘All’. In the 1960s, Lockyer became a much sought-after composer, scoring the music for films like ‘Dr. Who and the Daleks’, ‘Ten little Indians’ (both from 1965), ‘Island of Terror’ (1966) and ‘La loba y la paloma’ (1974). He penned several theme tunes for radio and TV series, most famously that of ‘Friends and Neighbours’ (1959). He composed songs as well, amongst others the instrumental successes ‘Pathfinders March’ and ‘Tearaway Brass’, the latter of which was included by Ole Jensen on his 1972 album. Lockyer’s abilities as an arranger and conductor were widely recognized. He conducted TV and radio orchestras, most importantly the BBC Revue Orchestra, of which he became the musical director when Harry Rabinowitz switched from BBC Radio to BBC Television; in 1967, the orchestra was renamed the BBC Radio Orchestra. Other ensembles which he led include the BBC Variety Orchestra and the BBC Big Band. Besides, he conducted the film scores for ‘Our Man in Marrakesh’ (1966) and ‘Deadlier than the Male’ (1967). In 1961, he had been hired by Bing Crosby to orchestrate his acclaimed album ‘Holiday in Europe’. Lockyer’s collaborated on several more studio recordings, conducting, amongst many others, the LP ‘The World of Matt Monro’ in 1970. Shortly before he died, he led the Million Airs Orchestra in a series of tribute concerts for Glenn Miller; before the end of the tour, however, he died of throat cancer. Lockyer sometimes used the pseudonym Howard Shaw. At long last, Malcolm Lockyer made his debut on the international Eurovision stage in 1972. 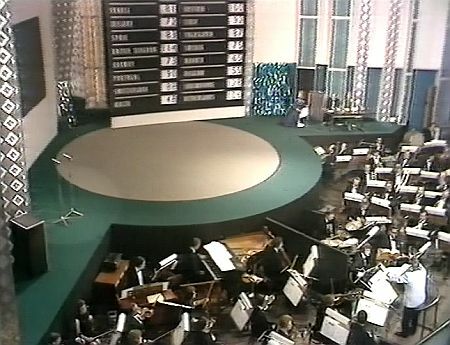 That year’s Eurovision Song Contest was accompanied by the BBC Radio Orchestra. Lockyer, being its chief conductor, was commissioned by the BBC to be the musical director of the contest, staged in the Usher Hall in Edinburgh. He did not conduct any entry, though, not even the UK attempt ‘Beg steal or borrow’, for which the arranger of the performing group New Seekers, David Mackay, took over the baton. All orchestrations heard in the contest’s introduction film and the end of the transmission, however, were penned and conducted by Lockyer himself. Tony Wild was the concert promoter of Lockyer’s last commission, the Glenn Miller Tribute: “The Million Airs Orchestra had no musical director. I was fortunate in getting the services of Malcolm Lockyer who proved a tower of strength and was highly respected and regarded by musicians and artists alike. Sadly, we were unaware that his throat cancer was recurring and before the end of the tour Malcolm passed away”. The best online source on the UK’s involvement in the Eurovision Song Contest, www.songs4europe.com. Various websites on English light entertainment and broadcasting history, such as en.allexperts.com, www.swalwelluk.co.uk and www.bigbandbuddies.co.uk. 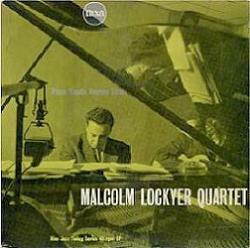 Unfortunately, no website on Malcolm Lockyer exists.